SuperMag 6 AI with Speech Touch Screen Video Magnifier 3 Hrs. of Battery Use! 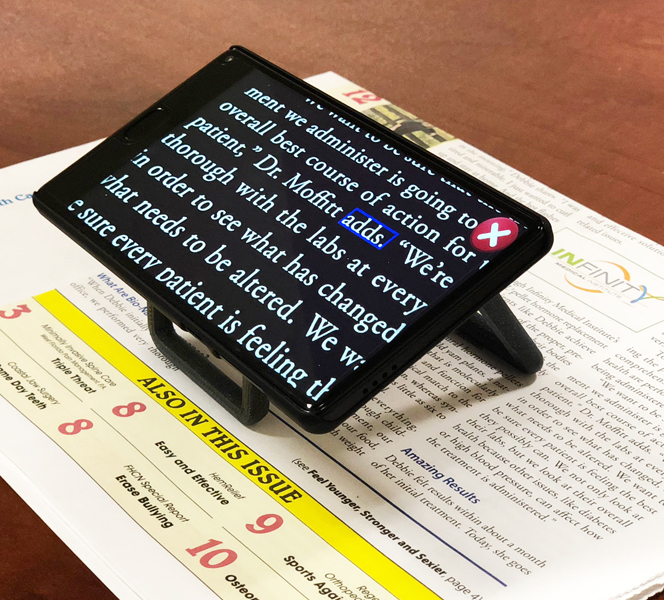 SuperMag 6 AI is the first voice controlled handheld magnifier using artificial intelligence for those with low vision. It’s compact design allows it to fit easily in a pocket. Integrated, accurate OCR with natural sounding voices allows you to sit back and comfortably listen to a document.